Product design company 4D Products has secured three major design and engineering contracts in its Enterprise Zone home. 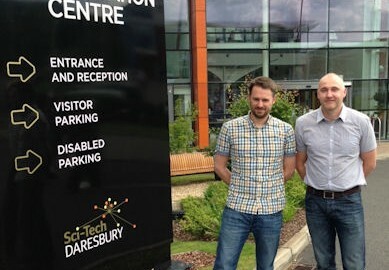 Based at Sci-Tech Daresbury, 4D Products won contracts with the University of Liverpool, Biofortuna and The 15th Club. The firm’s new contracts include supporting the development of a new, faster point of care diagnostic device at the University of Liverpool; working with freeze-drying specialists Biofortuna to further automate their manufacturing system; and developing a new product and accessories range for golfing equipment specialists, The 15th Club. “We’re delighted to have been appointed to such diverse projects as these. It’s fantastic to work alongside ambitious people who are willing to invest in their futures. “We are delighted to witness the continued success which 4D Products is enjoying – it’s great to see such an innovative, high-quality business thriving. For more information on 4D Products see: http://www.4dproducts.co.uk/. For further information on Sci-Tech Daresbury Enterprise Zone see: http://www.sci-techdaresbury.com/.